WordPress Essential Training is an online self-paced course that covers the basics of maintaining your Cooperative Extension website (countyname.uwex.edu, fyi.uwex.edu and/or blogs.extension.wisc.edu) and creating engaging content. It is broken into two parts: one for everyone contributing content to a CES website (Part A) and one for those responsible for administering all or part of a website and anyone creating a new CES website (Part B). Our goal with this training is to get you comfortable with the basics of working with WordPress and how that generally applies to your site. It should take 3-5 hours to complete both Part A and B. Choose your starting point from the lessons listed on the right (or bottom) of this page. (optional) Print and use the E-Learning in Progress sign while you are busy working on this course. Technology Teaching Tips and Tools site: WordPress-related articles. 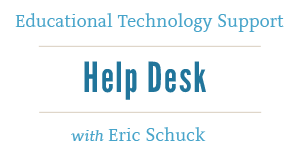 For general questions about WordPress, please contact the CES Helpdesk.